Earlier this year, I had the unique opportunity to attend a talk lead by Harry Markowitz at the USF School of Management. Harry Markowitz is a legend in the personal finance space, often known as the father of modern portfolio theory. His work is the reason that low-cost index funds are all the rave today. Before he published his work, most investors and fund managers convinced people with money to invest (you and me) to pay them a lot of money because they were finance experts with intellect and superior stock-picking techniques that could beat the market. In 1950, he showed us how wrong we were. Since then, people have been diversifying their portfolios by buying multiple securities to achieve optimal asset allocation. Of course, people still pay hefty fees to have their money managed by finance experts with intellect and superior stock-picking techniques, but they typically end up with a portfolio that will track the market anyway. The finance expert wants to keep his job, after all. 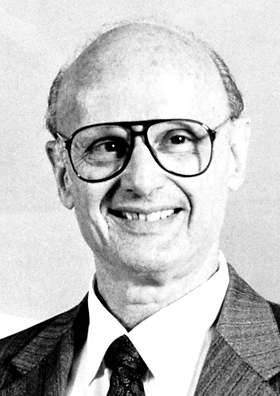 Harry Markowitz's work changed the world of investing, and for it, he won the John von Neumann Award in 1989, and the Nobel Prize in Economics in 1990. His work enables me to know how I should adjust my portfolio so that I may acheive the best return without taking on additional risk. Whoops, I'm taking on additional risk for not much more reward. Without further ado, here are the notes that I took from his talk, copied verbatim from my journal.